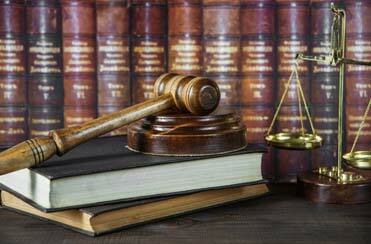 In Need of an Attorney or Just a Bit of Legal Advice? Attorney Richard Albritton, III and the lawyers of the Albritton Law Firm offer legal services in Panama City and are here to help! While consultations regarding criminal charges are always free, certain civil matters may require a consultation fee, so be sure to let our staff know the precise nature and details of the matter you’re calling about so that we can properly advise you. While the firm is capable of serving a multitude of clients in wide-ranging areas of the law, both criminal and civil, our attorneys focus within their areas of practice. Because of this, the Albritton Law Firm can provide the full-service representation of large firms, while still providing each client with the personal touches traditionally found in a smaller firm. The firm’s comprehensive legal practice covers all areas of criminal defense, including felony charges of drug trafficking and possession, grand theft, aggravated assault and battery, homicide, weapons offenses, and white-collar crimes as well as misdemeanor charges such as DUI, possession of marijuana or paraphernalia, criminal traffic offenses and less-serious petit theft, assault and battery charges. The firm’s civil practice areas include personal injury, family law, divorce, child custody, dependency, landlord-tenant disputes, real estate, contracts, elder law, estate planning, trusts, wills, and probate, arbitration and one of the firm’s attorneys is even a state-certified family law mediator. Contact us or Call Today to Set Up an Appointment for a Consultation. The Albritton Law Firm offers legal services to all of North Florida, including the counties of Bay, Jackson, Gulf, Calhoun, Washington, Holmes, Walton, Okaloosa, Escambia, Leon, Liberty, Franklin, Gadston, Marion, Citrus, Lake, and Alachua. Need Legal Advice? Let us Help. If you have a legal issue and would like to speak with Attorney Albritton or one of the firm's other trial lawyers, contact us today to schedule an appointment to sit down and discuss it.